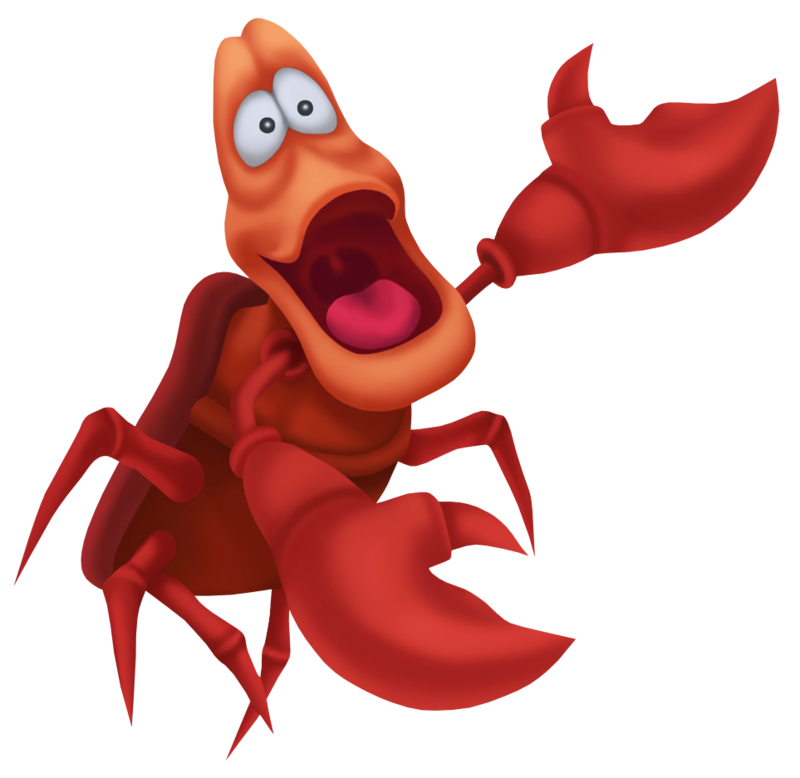 The royal court composer, Sebastian the crab would want nothing better than to direct grand orchestrations with Ariel as the lead, but finds himself time and time again carrying out errands for King Triton. These errands include finding out the source of the Heartless in Atlantica, but more often than not, his duty as royal babysitter for Triton's youngest daughter takes priority over all else. Though Sebastian is often jittery and panicky, he goes along with the party following the theft of the trident and is essential in revealing the hidden pathway to Ursula's lair, a trek in which he has presumably journeyed before. Once the adventure is over, Sebastian eagerly returns to his peaceful life of writing song pieces, hoping that he would not be drawn into Ariel's rebellious antics again. Sebastian is the royal composer of Atlantica, and also Ariel's royal babysitter. He would rather spend his time composing musical masterpieces, but is often kept up and running due to Ariel's rebellious nature. He is often on pins and needles when Ariel leaves the palace, this time even more so once he discovers that Ariel has fallen in love with a human. Panicked, he accidentally reveals the truth to King Triton, triggering a chain of events which leads to Ariel entering a devil's bargain. The recent concerts being held in Atlantica are all the result of Sebastian's genius.